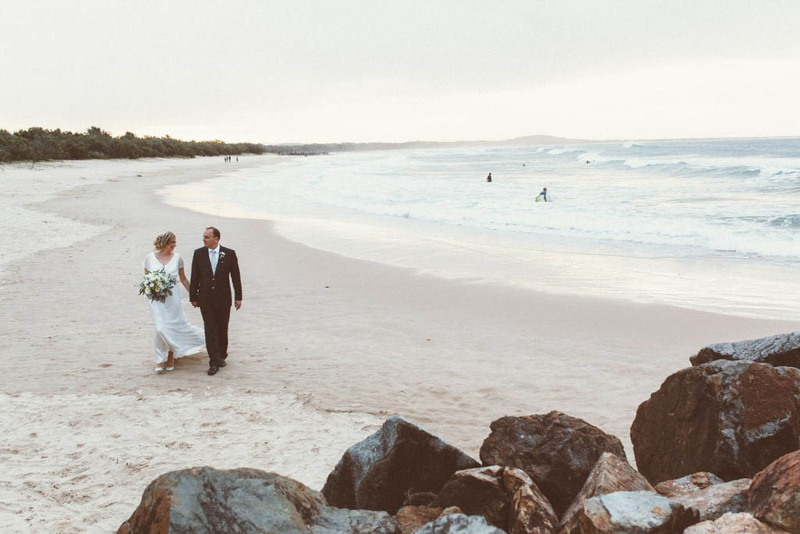 One of favourite places to be is beautiful Noosa and you don’t get more coastal then stunning Sails Restaurant, with amazing seaside views, this incredible beachside restaurant certainly knows how to host a wedding! 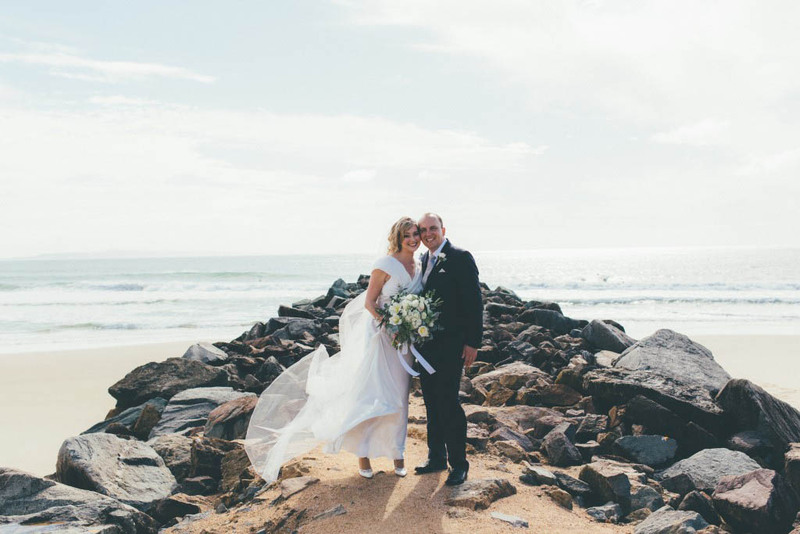 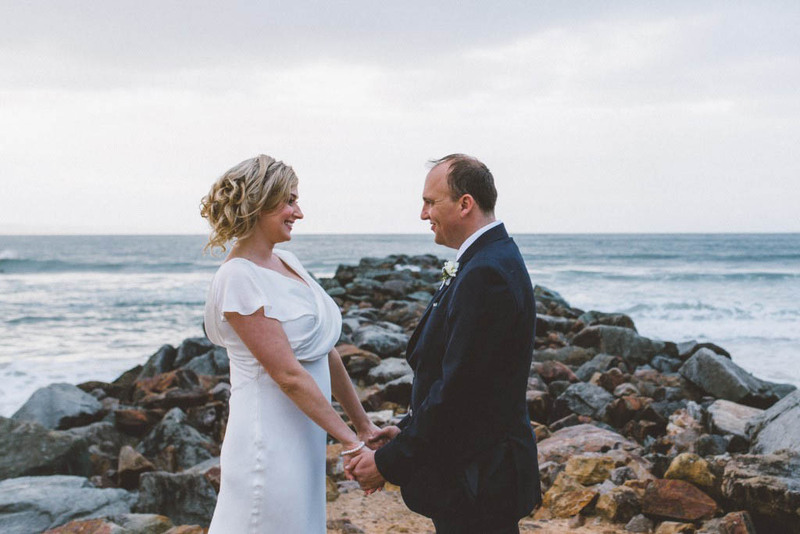 Telisha and Sam decided that their Sunshine Coast wedding day was going to feature a touch of rustic coastal floral styling which blended beautifully with pretty decor pieces from Love Bird Weddings. 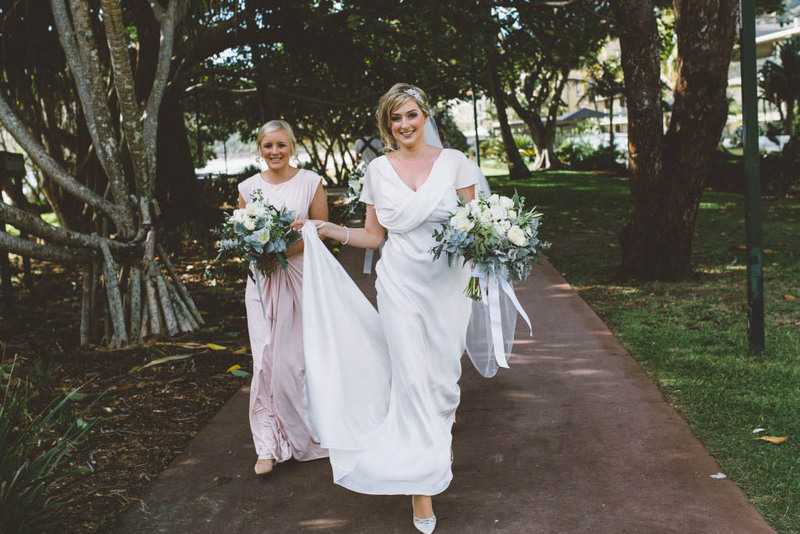 Like many of our couples Telisha and Sam traveled from overseas to celebrate their day here on the beautiful Sunshine Coast, and decided on a morning ceremony and then a divine lunch time reception at Sails Restaurant celebrated with family and friends to make the most of their beautiful winters day. 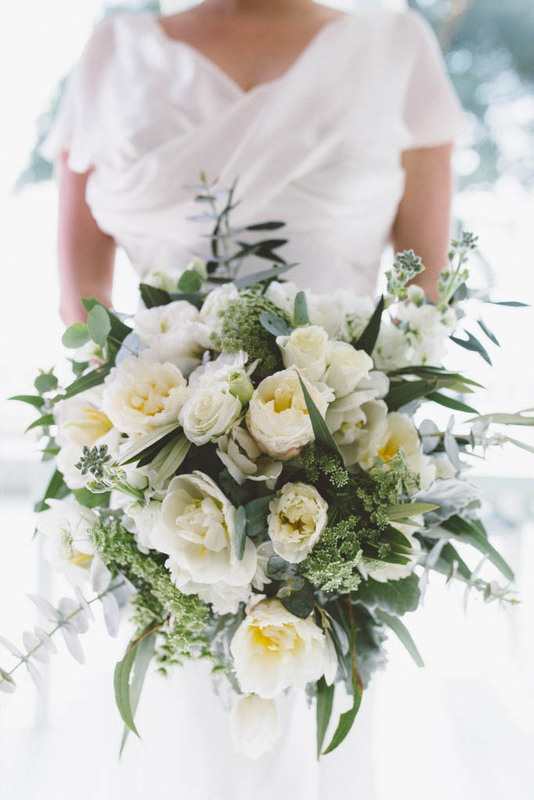 Telisha’s bouquet featured double tulips, boutique grown ice cream tulips, stock, lisianthus and beautiful rustic foliages to add touches of sage and grey. 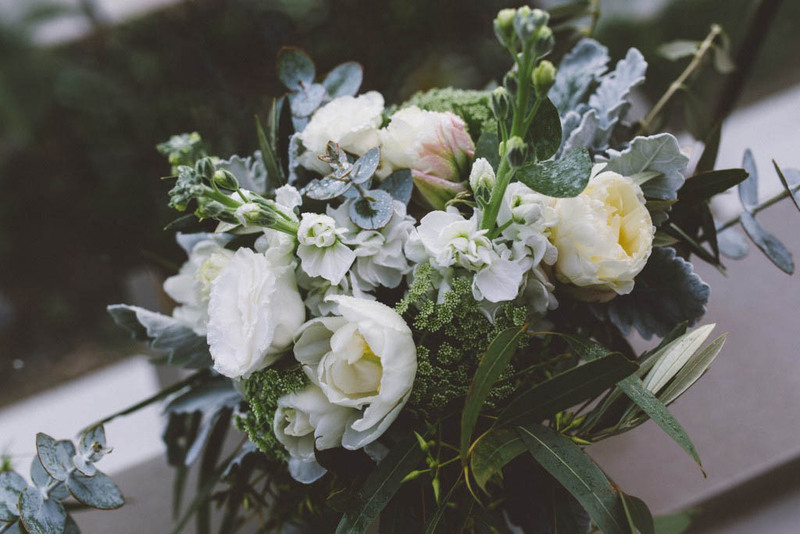 The unstructured style bouquet design featured textural foliage elements that introduced the beautiful grey and sage greens to the bouquet. 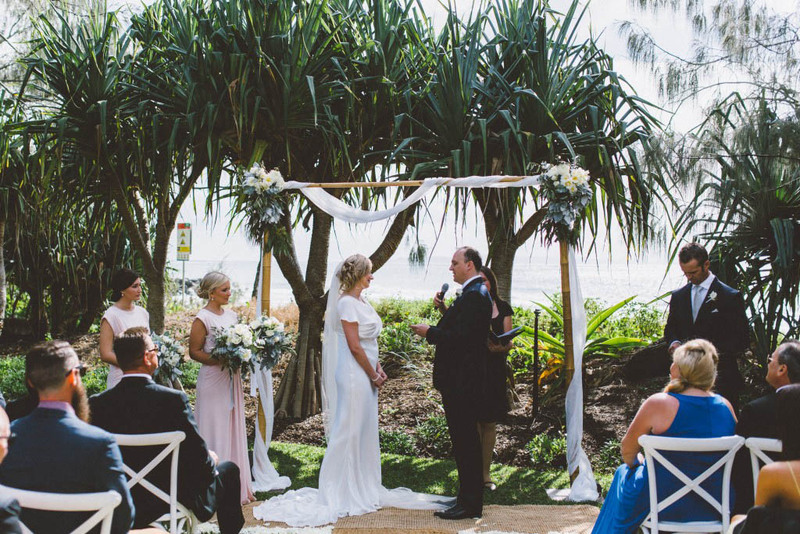 The ceremony space featured sweet floral features on the muslin draped canopy provided by Love Bird Weddings and an aisle of pretty rose petals. 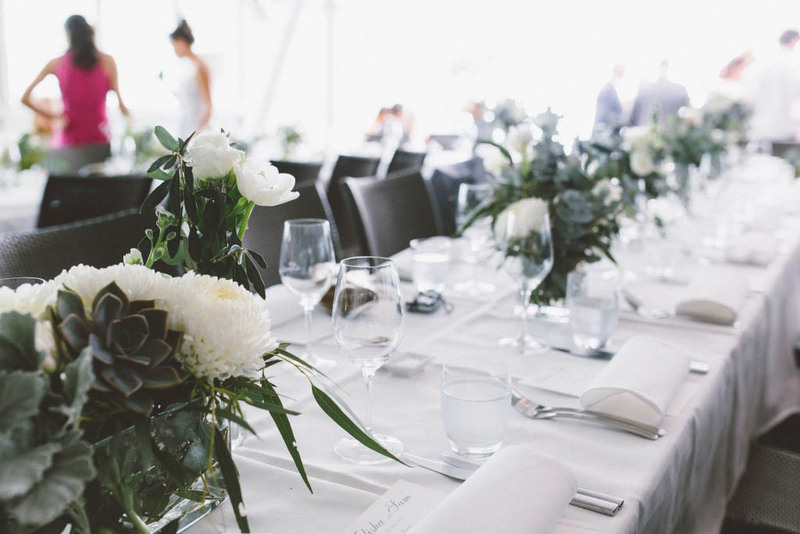 Contemporary glass vases were placed in random groupings on each table at reception with the beautiful rustic coastal bloom concept that showcased the chic white, ivory, and green colour palette of the day. 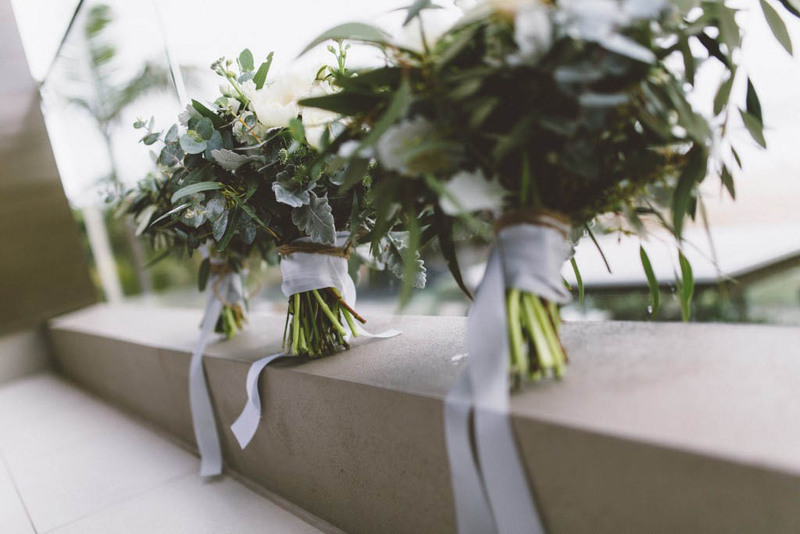 One of the questions I often get asked by my clients who choose a winter wedding is what choices for wedding flowers are available during the cooler months, and they are sometimes quite concerned that their floral concept is compromised. 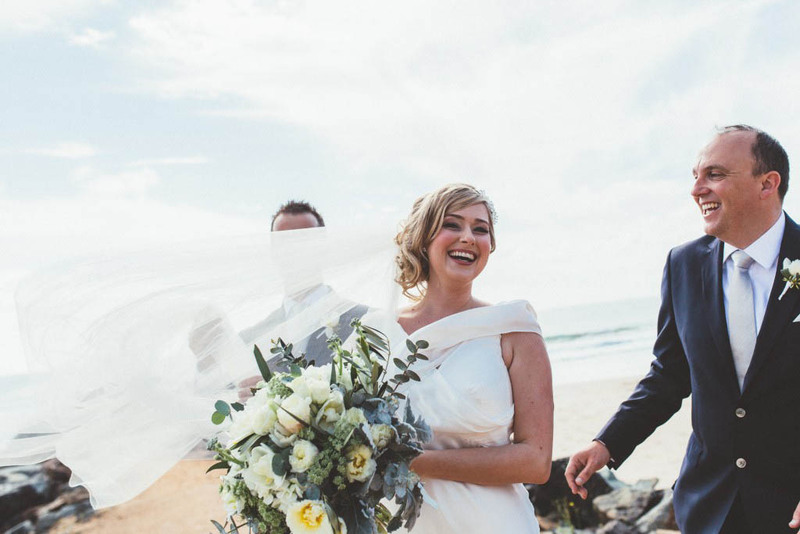 Winter wedding flowers are truly delightful, and a vast amount of beautiful winter blooms are on show, as you can see you are certainly not disadvantaged when choosing winter to celebrate your Sunshine Coast wedding day. 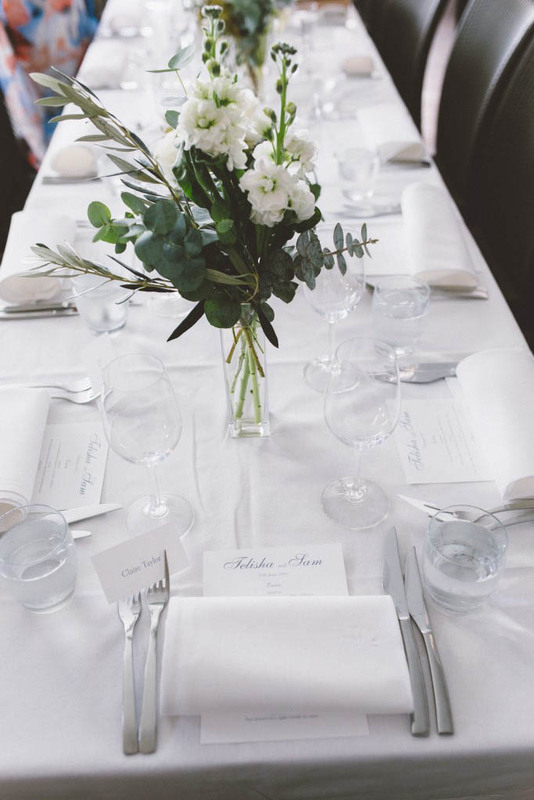 The days are normally dry and the skies a beautiful shade of blue, and when considering your wedding flowers, we have a huge repertoire of winter blooms to share with you. 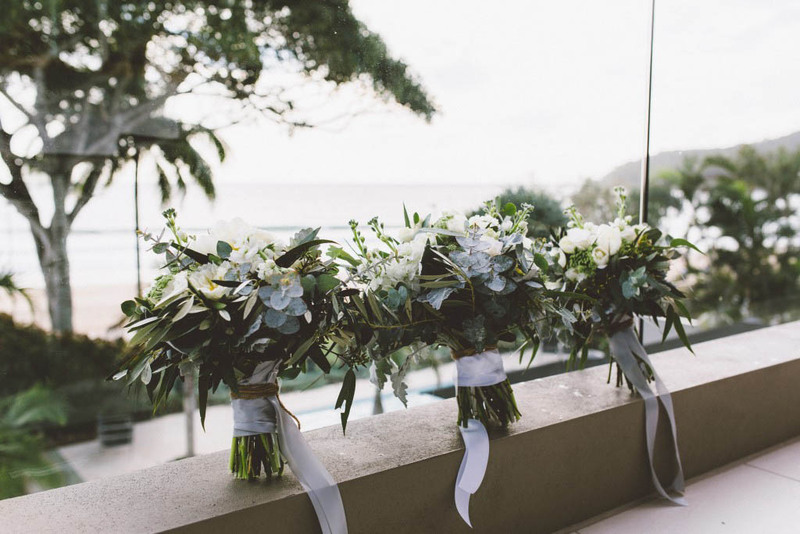 We are always excited to create a unique design for you regardless of your wedding date, specialising in individual Sunshine Coast wedding flowers the team at Mondo Floral Designs love to pull together floral concepts to inspire you, and reflect your individual wedding day style.